Joanna Cotler's first career was as a dancer. She says that performing has served her well in her profession in the literary world. It's easy to see why she would say that. The evidence of a professional dancer's characteristics is throughout this interview: the involvement of heart, self-discipline, and demanding of oneself the best performance possible. See her as someone that can follow the lead of external direction (from music to the structure of the publishing world) while contributing something unique from within herself. Learn as Joanna goes through the steps that not only made her successful, but also can help equip us for all we can achieve. WOW: First, Joanna, what is an imprint? What are the advantages for you and the author? JOANNA: Having an imprint is an exceptional way to work and a great privilege for me and for my authors. What it is: a publishing line within a large publishing house usually defined by a single editor's point of view. The advantage for me is that I believe I attract and maintain healthy relationships with authors and artists because my books are distinguished by the imprint name and point of view. I have a boutique business-Joanna Cotler Books-nestled into a very healthy and supportive larger one-HarperCollins-with all the great support a large business has to offer. The advantages for my authors and artists: I can offer hands on experience on every title, along with the clout to back it because the house has chosen to support my line at the highest level, and because Joanna Cotler book and HarperCollins are thriving businesses run by stellar women, our CEO, Jane Friedman, and Susan Katz, President & Publisher of HarperCollins Children's Books. Jamie Lee Curtis IS THERE REALLY A HUMAN RACE? WOW: Your descriptions contribute a great deal to aspiring authors that were unaware of imprints, equipping them to make better decisions in the future. Many benefit from imprints, but how would you describe what Joanna Cotler/HarperCollins means to you? JOANNA: My imprint celebrated its 10 th anniversary in 2006 and these ten years have been the most exciting time in a nearly 30 year career as an editor of children's books. To have been given the opportunity to publish what I think is great literature for children, to be able to express my own aesthetic, to make kids laugh with books like DIARY OF A FLY and TODAY I FEEL SILLY, or to be inspired by Patty MacLachlan whose words have been cherished by generations of readers, to be able to work with Sharon Creech on great books like LOVE THAT DOG and most recently, THE CASTLE CORONA-how privileged I feel. And to think that maybe books that I chose to publish will be around for generations? WOW: That's great, Joanna. We not only congratulate you on your anniversary but because it's wonderful to know your work is still exciting to you. That you count your career as a privilege further explains your success. Tell us, how would you describe an editor's job? JOANNA: To find talent and give it a home; to help an author or artist find their best self in their work; to create books; to sell books. WOW: We have to appreciate that this focus is what you bring to the table. As writers, we have to appreciate that we must value 'the home' opened up to us; we have to have a like spirit and work ethic. Do you have anything you'd like to share with ones that would like to pursue an editing position? Or, someday having an imprint? JOANNA: Whether you edit or aspire to having an imprint there is one thing that matters most of all: your relationships with your authors and artists. Cultivate those relationships as well as your own vision. Don't compromise. Only publish the best even if that means very few books. WOW: Great points, worthy of repeated rumination! But it isn't all about people, diving into you work. Are all edit jobs equal? If not, why the difference? 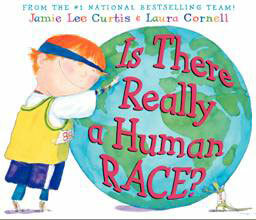 JOANNA: If you mean does each book present different editorial challenges, yes, very much so, especially for a children's editor who might one day edit a several hundred word picture book, such as IS THERE REALLY A HUMAN RACE? By Jamie Lee Curtis and illustrated by Laura Cornell, which was a #1 New York Times bestseller this fall, and the next day a several 100,000 word novel, such as Clive Barker's ABARAT series, which also include more than 100 full color paintings. Vastly different experiences-keeps my life interesting. WOW: Criticism is a cultivated taste, and some have considered editing received as unkind criticism. What advice would you give to an author that feels she was given harsh editing? JOANNA: I'd tell her she has the wrong editor. I don't think an editor should ever be harsh. An editor's job is to understand an author, to help her solve challenges, and to find just the right ways to say what needs to be said. WOW: You have an exceptional roster of authors who concur that you live what you said. The awards are many and impressive. However, it's more than talent that puts one on the NY Times bestseller list. What else must an author be prepared to do, beyond writing the book? JOANNA: Tour, get out there, speak about their work, network, create their own opportunities, talk to librarians, answer fan mail, create a website-do anything they can to get the word out about their work. Of course the book has to be great, perfect, just plain better than others and then it has to be attended to as such. For example, Newbery winner Sharon Creech formed a troupe with three other authors called Author's Reader's Theatre, to perform their work across the country. Right now she's out there performing a scene from her newest book, THE CASTLE CORONA. WOW: Another thing the author has to do is find the right publisher, the right editor. Noah Lukeman wrote The First Five Pages, other agents, editors, and publishers have said that they know in the first paragraph if the manuscript has anything to offer. How far do you read before you get a real feel for the potential of a manuscript? JOANNA: That depends. Some writers take a while to get going. I usually read 50 pages, but I confess that sometimes all it takes is one page. WOW: (laughing) Oh, that can go both ways. Is there one thing that will instantly have you reject a manuscript? JOANNA: Not one thing, no. But when something is great, even if its flawed, it screams to be published. WOW: You know that has soothed the savage beast in the heart of many an author. But how do we reach you? How necessary is it for an author to have an agent? Why? JOANNA: Though it isn't essential, because I receive so many submissions I'm only able to look at agented material. It's simply how I make the cut. I'm sure I miss some great work because of that. WOW: So, now the author is published. At the same time, we live in a changing world. Say, an author is sitting in the green room, ready to walk out for a national TV interview and a huge news story breaks. No interview takes place. How damaging can that situation be to a newly released book? JOANNA: It is damaging for a book that is publicity dependent. Luckily that's not true for most children's books. In almost thirty years of editing, I've only had a small handful of authors make it on to national TV, yet I've had many, many New York Times bestsellers. National coverage is really fantastic, and though it's delightful when a book receives national coverage books can and do fly without it, books like LOSER by Jerry Spinelli and I STINK by Jim & Kate McMullan. WOW: Funny you should choose those titles because those authors obviously put their all into every phase it takes to successfully get their books into the hands of their young readers. Since writing is a challenging profession, at best, we have to ask if you've ever read a really good manuscript, met the author and just realized he/she wasn't up to the task? If so, what did you do? JOANNA: I always meet an author, unless it's impossible to do so, before signing a contract, to see if we're compatible. About three times over the course of my career I've had to come to a parting of the ways with an author because we didn't work well together. It's always painful. It's best to do so as soon as the problems surface. WOW: Ouch! That hurts just to hear that. But something to take to heart so we don't suffer such an outcome. What is the most common problem you run across with authors? JOANNA: Editorially each author presents a very different set of issues. I can't find a common thread. WOW: We're encountering a nice theme in this issue because another publisher also said that each author is different. Your answer shows your personal involvement. Joanna, how involved are you with your authors? JOANNA: I love them. I am so proud to work with them and to get to know them. To chat with cult heroine Francesca Lia Block, or Pulitzer prize winner Art Spiegelman, or fantasy genius Clive Barker? To laugh with humorist Doreen Cronin, to art direct bestselling cartoonist Harry Bliss, or Laura Cornell, who has created 5 #1 New York Times bestselling picture books. I know them and they know me. It's out of that knowing that great work-and great pleasure-comes. WOW: That is so wonderful. It makes working beyond writing the book more inviting, exciting. This should lessen the tension some writers have when they contemplate being edited, on to promoting their books. We couldn't cover everything so we'd like to ask if you have any closing comments you'd like to share with our readers? JOANNA: I'm so thrilled and moved to be in a field dominated by the excellence of women: writers, librarians, publishing colleagues, bosses. Yes, there are great men in all of these arena too. But women are what make children's publishing thrive, so I say hats off to us. WOW's closing comments: You know that you are hitting at the heart of what WOW ! is all about: Women celebrating, helping each other, communicating, and making sure that no one feels she has to go it alone. Joanna, you've shown that there is heart, knowledge, drive, and focus all the way to the top. 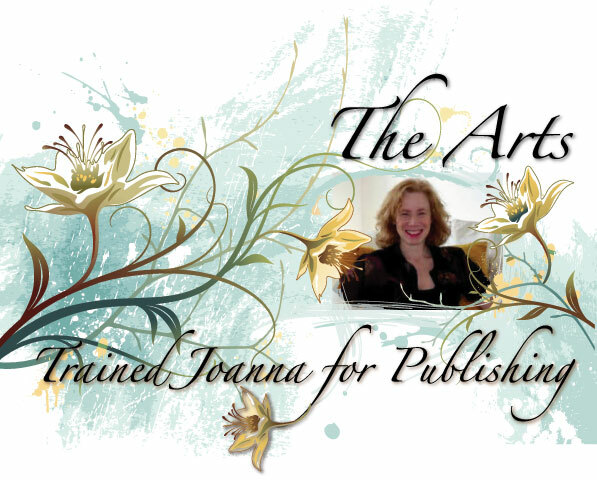 With appropriate research and study, each author can find her 'Joanna' that desires to be the right editor and publisher for her. Dancer, artist (see below), editor, and publisher, you've brought a question to our minds. What's in our past, our present that we can build on and add to in the future? "I've lived in New York City for a long, long time. My first career was as a dancer and I always say that performing served me well in this profession. I've also been an artist all my life and I continue to paint and show. But my working life has been devoted to being an editor of children's books and I've been editing for nearly 30 years. I worked my way up through the editorial ranks, rising to Editor in Chief and Associate Publisher of HarperCollins Children's Books before becoming Sr. VP, Publisher Joanna Cotler Books, celebrating my imprint's 10 th anniversary in 2006. My authors and artists include award winners, new stars, bestsellers and luminaries such Clive Barker, Harry Bliss, Francesca Lia Block, Laura Cornell, Doreen Cronin, Sharon Creech, Jamie lee Curtis, David Diaz, Kate DiCamillo, Patricia MacLachlan, Jim McMullan, Kate McMullan, K.A. Nuzum, Tracey Porter, Barbara Robinson, Marc Rosenthal, Suza Scalora, Art Spiegelman, Jerry Spinelli and William Steig." Harry Bliss and Doreen Cronin, will participate in the first ever "Speed Dating with Children's Authors" program at BEA 2007, sponsored by the ABA-ABC-CBC Booksellers and Publishers Committee. The program will be held on Saturday, June 2, 2007 from 10:00 to 11:30 a.m. in the Jacob Javits Center. Harry & Doreen will have the opportunity to impress small roundtables of booksellers in short three minute get-to-know you talks, moving from table to table for twenty rounds. That means they will talk face-to-face with 160-200 booksellers in the period of an hour and a half. This is a great opportunity to make a great impression! Harry Bliss will participate at the Southern Festival of Books in Memphis, TN & Nashville, TN Oct. 12-14. The Booksellers and Publishers Committee, in an effort to bring more attention to children's books on the BEA Floor, is going to turn our ABA-ABC-CBC joint booth into a "Children's Book Reading Room." On Friday, June 1, Sharon Creech will read a passage from CASTLE CORONA. The readings will be a nice variation from the usual autographing session. They have the potential of attracting a large crowd and could be fun for the authors as well. Sharon will also have a chance to chat with fans after her reading.